English ivy (Hedera helix) most likely was brought to the United States by European immigrants, according to the UDC Cooperative Extension Service. It's a low-maintenance plant that is often used as a large ground cover, sometimes entirely replacing a lawn. This vigorous grower spreads quickly, and, if not watched carefully, can become invasive. While this plant is tough, it does require some care. Ivy lives in USDA Hardiness Zones 4 to 8, with some cultivars handling minimum winter temperature of minus 20 degrees Fahrenheit for short periods. If your ivy arrived as a potted plant from a nursery or florist, it probably is not one of the hardier varieties. Symptoms include tan or brown papery blotches on the leaves, according to the Connecticut Agricultural Experiment Station. Extremely cold weather can kill entire parts of the plant. If your plant declines in the spring, it may not be winter hardy, and you should replace it with a cold-weather variety. Ivy requires well-aerated and well-drained soil to thrive, according to the University of Florida Extension. The ideal site has the water table at least several feet below ground level. Soil that stay wet for extended periods limits the amount of oxygen. 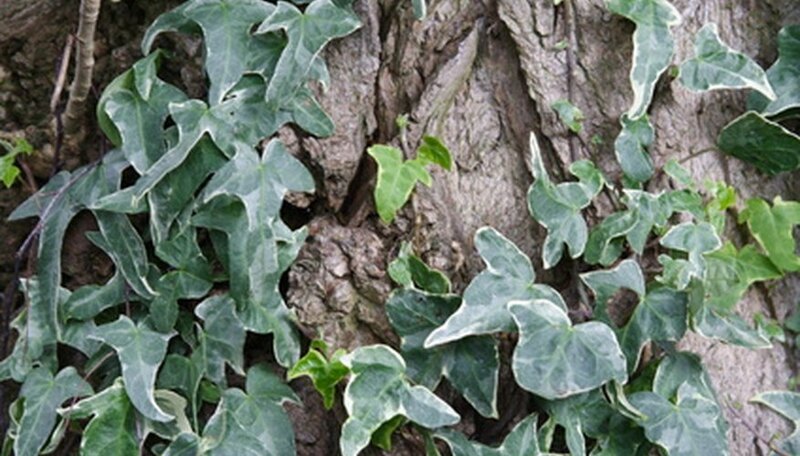 This can lead to pathogens, such as phytophthora root rot, that will destroy the ivy's root system. Symptoms include brown, curled leaves; large, gray-black leaf spots; and water-soaked spots on leaves and stems. Keep your plant out of areas with standing water or poor drainage. Amend the soil by adding peat moss or sand, if the soil is heavy with clay. Regular but modest amounts of fertilizer are needed to keep your ivy healthy. Use a complete 12-4-8 or 15-5-15 fertilizer. The University of Florida Extension says to apply "at the rate of one pound of nitrogen per 1200 square feet." Liquid fertilizers will work, but if you have very sandy soil, use a controlled-release product so that a single heavy rain won't leach nutrients. Apply twice a year, in the spring and fall. What Are the Treatments for English Ivy Leaf Spot? Does Ivy Grow in Full Sun?